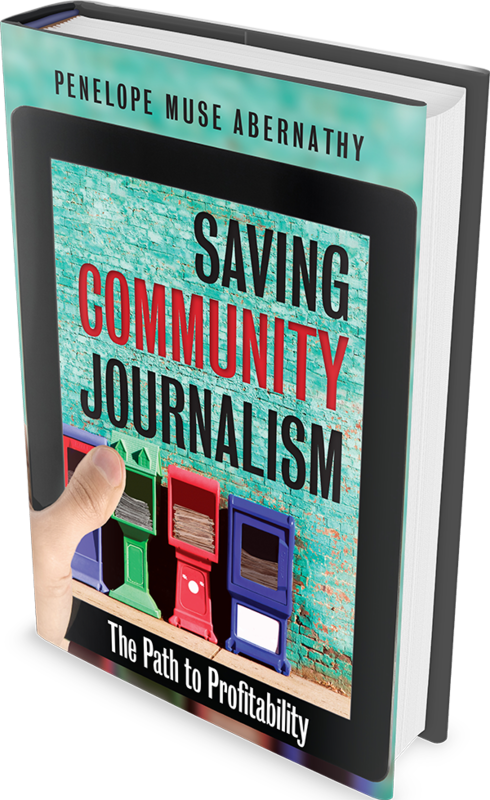 How do you use the book, Saving Community Journalism, in the classroom? What materials on this site can be incorporated into your lesson plans? What other online resources are available, such as case studies and book excerpts? How are other professors using this material? Lesson Plans for each chapter in the book, including pullout quotes, learning objectives, relevant material on this site, supplemental readings and potential out-of-class assignments. Click here to download a PDF of the Lesson Plans. Multimedia case study with teaching note and epilogue, focusing on the Pulitzer Prize-winning Whiteville News Reporter, as it attempts to transition from a print-only world to a digital business model. 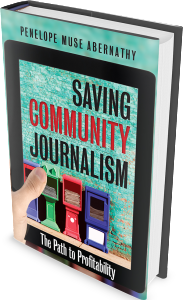 “Chasing the Community Newspaper Rainbow: the Whiteville News Reporter and the Digital Age” builds on and updates the smaller case studies on the newspaper that are embedded in Chapters Four through Seven. Professors can access the free case and teaching note by clicking here. Condensed excerpt of Chapter 3, How Newspapers Must Change, which summarizes the three-pronged strategy recommended in the book. It can be used as a student reading assignment or as background information to inform classroom instruction and discussion. This is available on the American Journalism Review site by clicking here. Other Resources: This includes a slide presentation shared by University of Kentucky professor Al Cross, demonstrating how he incorporated the material in Chapters One, Two and Six into an online community journalism class discussion. (Click here.) In addition, instructors can access the syllabus and lesson plans of University of North Carolina professors who are teaching innovation, media economics and digital strategies.